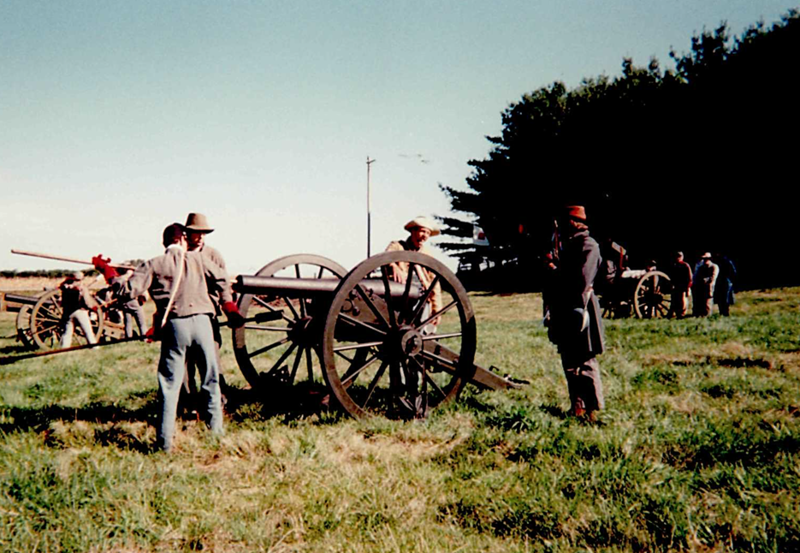 The cannon has been used in the Civil War Reenactment, also known as Scott's Tennessee Battery, at Scott County Park just north of Davenport, Iowa. 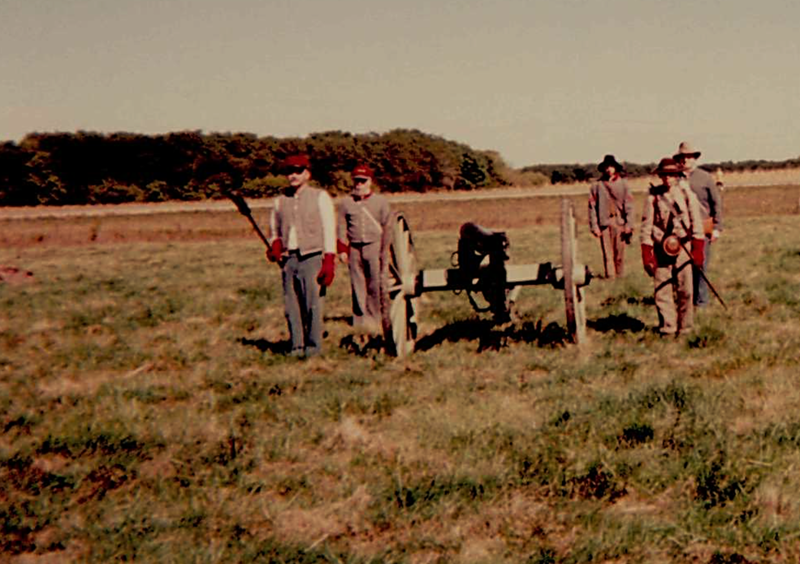 This annual event invites Monmouth College students to learn about how deadly the cannon is and the exact role the cannon played in the Civil War. 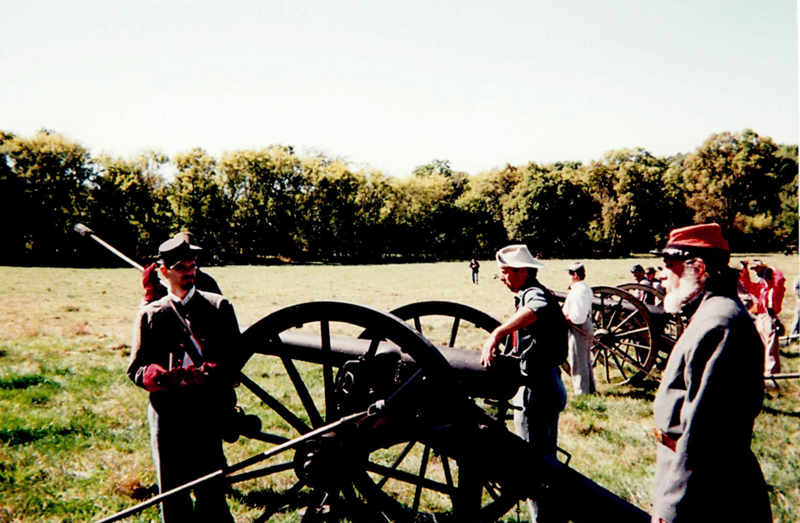 The five men responsible for firing the cannon at the Civil War Reenactment in 1996. Preparing the cannon for firing at the Civil War Reenactment. A sponge is used to extinguish any sparks that may remain in the cannon barrel after a firing. 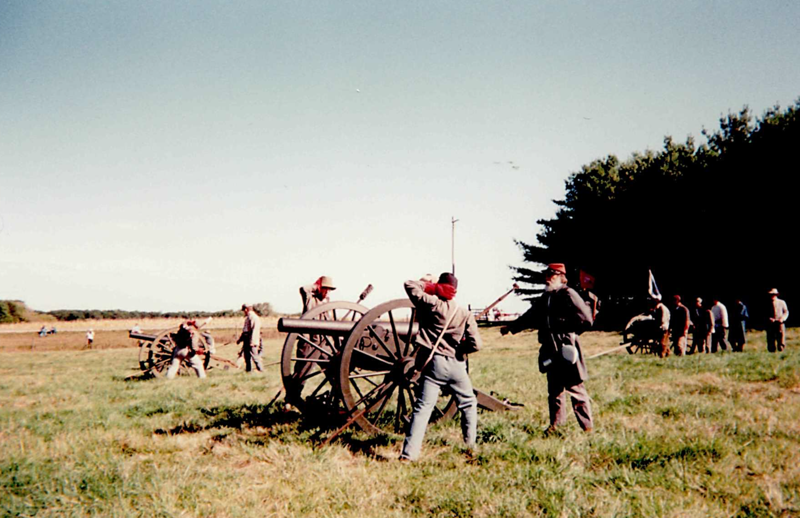 The individuals in the Scott's Battery shoot off the cannon during the Civil War Reenactment.